As sin-bent humans we are so prone to fall away from our faith walk. Media bombards us almost unceasingly with sin-infested messages where the Enemy waits for Christians to fall into all kinds of temptation. Not a single Christian is ever immune to our susceptibility to sin which is why it is so incredibly important to be in constant prayer and to actually be in God’s Word. I think that as Christians living in a self-absorbed western culture, we easily become ignorant of the fact that if we are not actively seeking intimacy with God then we will indeed fall away. For clarity, by falling away I mean that we begin to quench the Spirit thereby weakening our faith and delaying us from furthering God’s Kingdom. I believe that delaying the good work of Christians is one of the Enemy’s main spiritual assaults against us. It is when we enter into the forgetfulness of Who God is and all that He has done for us that the Enemy renders Christians ineffective for God’s work. Recently within my own life I became guilty of this very forgetfulness. This then led to discontentment with what the Lord has already abundantly provided for me. Rather than seeking satisfaction in Jesus, my soul began to feel restless. This restlessness caused me to start putting my needs and ambitions above others. I was under the illusion that I needed a new job/career in order to become financially-free to faithfully serve God. I felt that it would be after this point that I would feel fulfilled and live the life which God has purposed for me to live. After all, I reasoned, I have so much potential which hasn’t been unleashed yet. Financial freedom would provide a multitude of possibilities where I could serve the Lord to my fullest capacity without having to worry about finances or time interfering. A distinct opportunity spurred most of these thoughts into motion months ago so I decided to revisit it. Admittedly, my mind felt stimulated, challenged, and intrigued as I read some success books and listened to various motivational audios. Notwithstanding, I never truly felt convinced that the proposed 5-7 year plan to financial freedom was the path which God was calling me to pursue. Throughout this season, I was in a deep state of internal conflict of bouncing back and forth. It was as if there was spiritual warfare raging before me. Unbeknownst to myself, I began slipping away from my relationship with the Lord. Former sinful habits began to emerge and I felt a certain level of spiritual disconnect from the Body of Believers. My desire to know God even started to dwindle. Praise be to God for the conviction which His Spirit sent leading me into repentance and dissociating myself from the start of a potentially destructive path. Rather than taking extreme measures and sacrificing whatever it takes to attain a point where money supposedly enables us to serve God on a larger scale, I believe that the Bible teaches Christians to relentlessly chase after God through seeking His Face. Jesus Himself taught us to, “Seek first His Kingdom and His righteousness…”(Matthew 7:33). I believe that it means much more to God when we serve Him wholeheartedly on a smaller scale as opposed to halfheartedly on a larger scale. For example, giving out of poverty is far more meaningful to God as clearly illustrated in the parable of the poor widow. In this parable, after she offers two very small copper coins Jesus says, “I tell you the truth, this poor widow has put more into the treasury than all the others. They all gave out of their wealth; but she, out of her poverty, put in everything–all she had to live on”(Mark 13:43-44). Although this widow was extremely poor, she was literally “all-in” and this was very pleasing to Jesus. Being “all-in” is also what it means to be a true follower of Christ and not merely a fan. Humans standards are often the polar-opposite to that of God’s. As Christians I fear that we may too frequently become fruit-inspectors where we judge one another’s fruitfulness based solely on the number of souls we helped save or the amount of dollars we tithe each week(outward appearance). At the end of the day it’s about where our heart is at(inward appearance) as we seek to uplift God’s Name and this is something which only God can see! Let’s stop comparing, and instead, seek to know God more richly and to serve Him wholeheartedly as we die to ourselves daily. 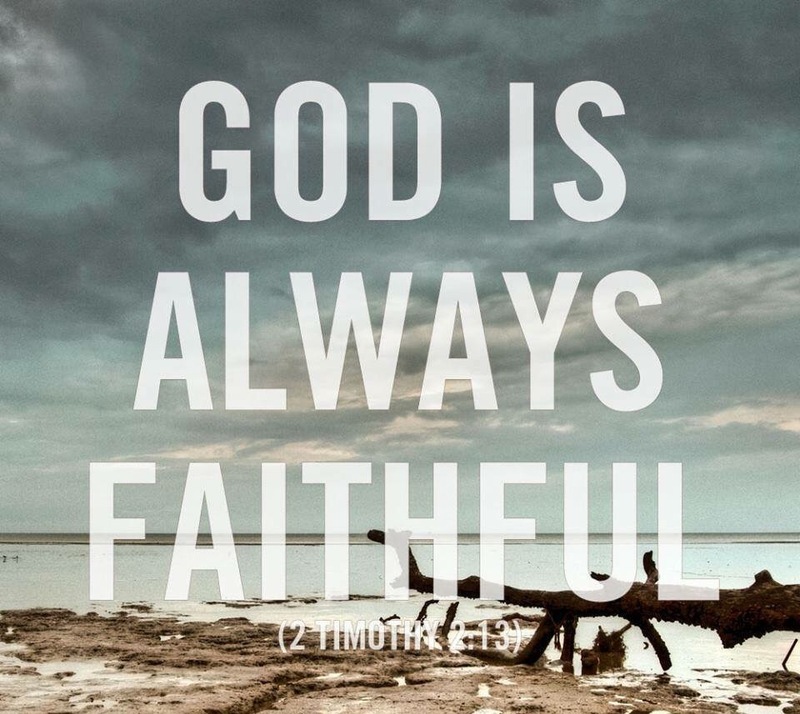 I praise and thank You, God, for Your indescribable faithfulness to me even as I slip, as well as Your relentless and unfailing love to which I am forever indebted. May this post serve to magnify Your name and maximize Your glory as displayed through the power of the Cross. In Jesus’ Name, Amen. Pity of the strange ending “May this post serve to magnify Your name and maximize Your glory as displayed through the power of the Cross.” giving the impression you take Jesus to be God, instead of accepting him as the sent one from God, the son of God who really did not do his own will but the will of God, giving himself up for all mankind and really dying at the stake and not faking it, because when he would be God he knew that neither man nor death could do him anything. I apologize for the unintended confusion by this ending, however I do believe that Jesus is God, being 100% God and also 100% man being sent by God to die for sinners on the Cross according to His Father’s Will. That being said, I do not profess to fully comprehend the complexities of the Holy Trinity, nor do I think that it is something that we as finite humans will ever completely grasp…at least in this age.